Historic View of The Mississippi River - Rosalie — Travel and Adventure Await You! 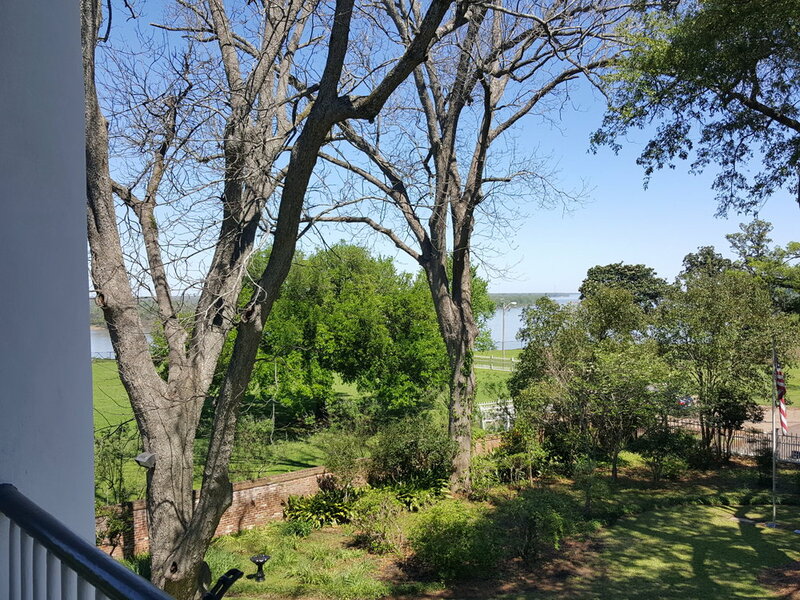 Neatly situated on the bluffs overlooking the Mississippi River, Rosalie has one of the most memorable views in Natchez. Tours tend to linger on the second story gallery, capturing fabulous photos of themselves surrounded by huge columns with the mighty river meandering along in the background. A peek through the trees shows the spectacular view of the mighty Mississippi River flowing by. Built in 1823 for Peter LIttle on land that he acquired in 1820, Rosalie also sits on part of the site of the site of the massacre at the French Fort Rosalie in 1729. Thought the land had a violent heritage, the home became known as a magical and loving place. Peter’s wife, Eliza founded the Natchez Children’s home and many orphans called Rosalie their home over the years. Scenes locked in time await you. I couldn't help but wonder who had walked this path before me! Uniquely, the next owners, Mr. and Mrs. Andrew Wilson took in orphaned children, as well. They became so close with Fannie McMurtry that they formally adopted her. As the Wilson’s had no biological children of their own, when they passed, Fannie and her husband Captain Stephen Rumble inherited Rosalie. All six of their children were born and raised at Rosalie. 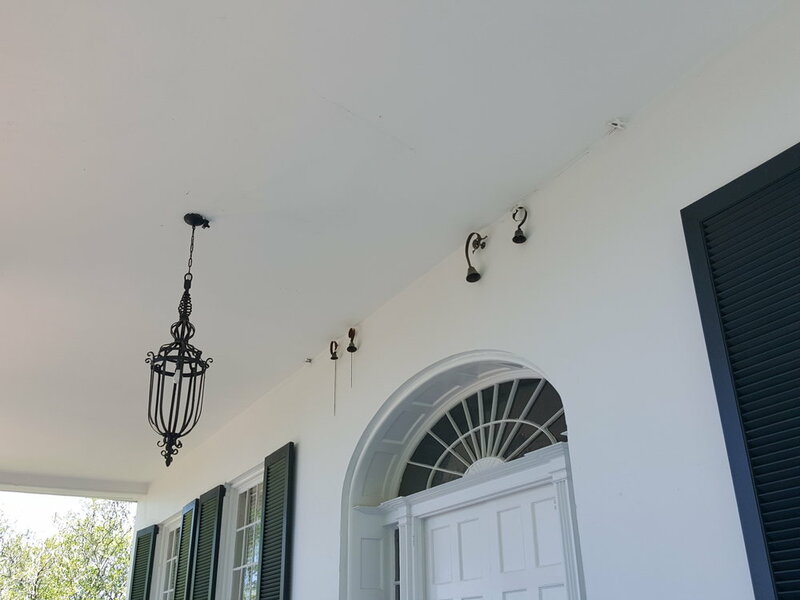 Often removed details such as the servants' call bells remain intact. The last two children, Annie and Rebecca, fell on hard times and sold the home to the Mississippi State Society, Daughters of the American Revolution who owns and operates Rosalie as a house museum today. The Daughters of the American Revolution allowed Annie and Rebecca to live in the house and conduct tours until Annie, who was the last Wilson descendant living, passed away in 1958. The, equally, historic carriage house at Rosalie. It is now used as a gift shop and for administration. What’s so remarkable about this is that Annie and Rebecca liked living as they did when they grew up. They cooked on a historic stove and went without electricity and plumbing. You will find Rosalie noticeably without many of conveniences of even the 1930’s or 1950’s. My 15 year old daughter who toured Rosalie with me was simply blown away that anyone could live like that as recently as the 1950’s so I considered the tour a great success! 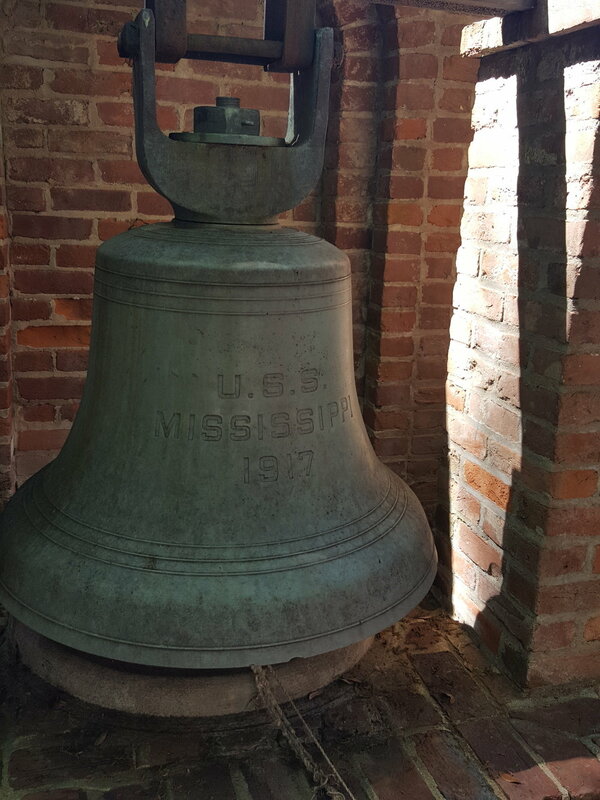 A few surprises await at Rosalie, including the original bell from the U.S.S. Mississippi. Rosalie is open daily for tours. Prior to October 31st, the museum is open from 9 AM to 5 PM, with the last tour beginning at 4 PM. After October 31st, the hours are from 10 AM to 4 PM with the last tour beginning at 3PM. Be sure to stop by and visit the gift shop or head over to the carriage house and do a little genealogy work courtesy of the records kept there by the Mississippi State Society, Daughters of the American Revolution!